Three honour rolls commemorate those who served in the 18th Battery during World War One. 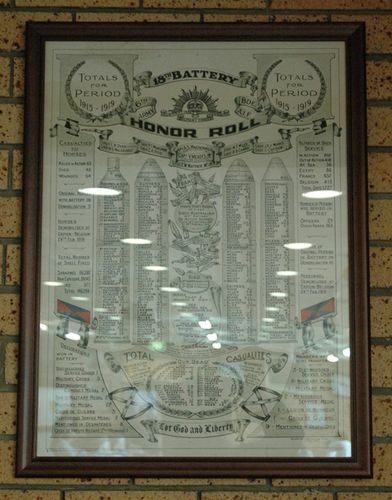 One honour roll commemorates the period from 1915 to 1919. 18th Battery 6th Army Bde A.I.F.